I tried my hand at something new this past weekend. 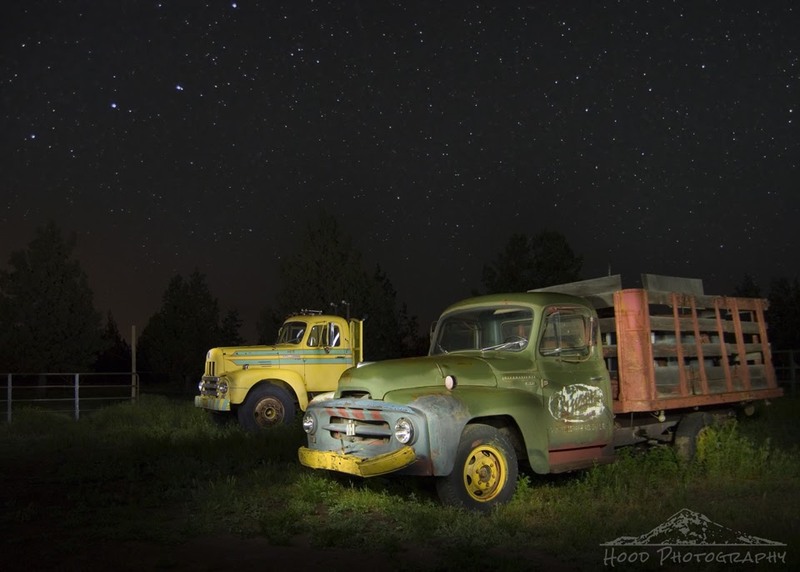 I had never tried light painting before, but with the help of my brother, we lit up these two old trucks on my Dads property outside of Prineville, Oregon. Let me tell you, it was so much fun! I am glad that my Dad did not look out his window at us in the middle of the night, running around these trucks with our flashlights. He would have thought we were crazy for sure! That's really awesome. I just adore the stars in the sky! Sorry but there's no blue.